You've probably seen the standard double-pane windows in older homes. Standard windows are often rectangular or square, have simple design details, and are meant for function rather than beauty. While there is certainly nothing wrong with going the simple route and putting the emphasis on function rather than aesthetics, many homeowners turn to the more dramatic approach when it comes to their windows. Double-pane windows come in all shapes and sizes, and their wide range of styles means that they can fit in with any type of architecture. Whether you have a gothic revival or a sleek, contemporary home, double-pane windows can provide the perfect look while meeting the highest energy standards. Not only are they affordable, they pay for themselves over time with the reduction in your energy costs. 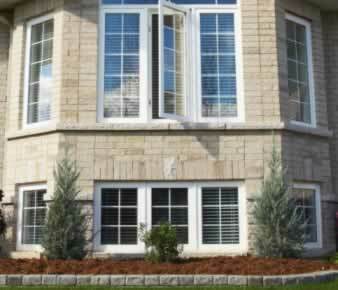 When it's time for that new construction, opt for the double-pane windows that suit your design tastes!